Check your Diet – Your diet always casts a significant impact on how much fat you develop on different parts of the body. If you stick to a natural balanced diet and ensure that you don’t exceed 2000 calories a day (or as per your individual requirement), there will be minimal chances of you gaining fat anywhere in the body or in the face. It is also imperative to ensure that you minimize intake of foods that cause bloating of the face because of water retention. Salty foods and alcohol can be mentioned in this respect. 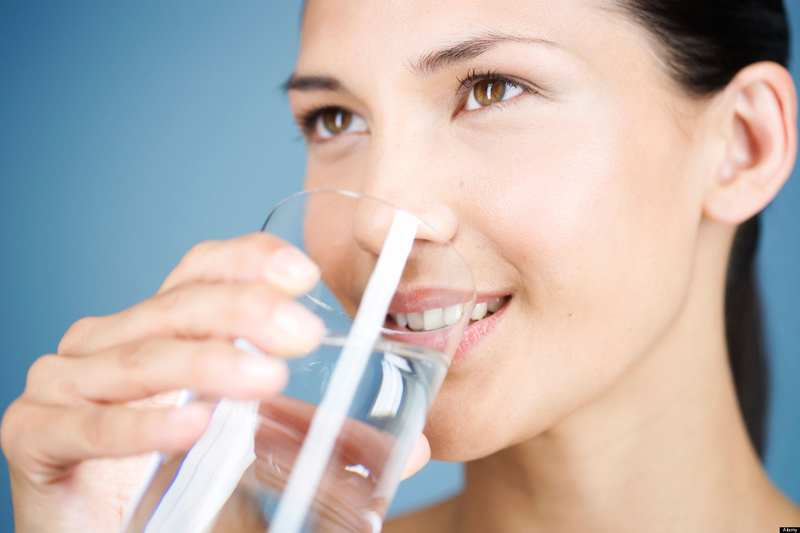 By all means, increase your water intake, especially those who drink less than 4 glasses of water per day. When your body receives ample water, it does not feel the need to store and thus, you will be free of chubbiness round your face. At the same time, water flushes out excess sodium from the body, which is an ingredient named for causing face bloating. No matter how may best diets you take a look at from the internet, don’t panic, keep a check on one diet that is suiting your body and recommended by your dietician. Benefit from Exercise – Similar to your body, your face also responds to workouts. Medium to high intensity cardio vascular exercises help in melting away fat from the face which toning the body. However, there are a number of exercises that are specific to reducing face fat. Head stretching and tilting in standing and lying positions are great to combat face fat when done on a regular basis. Yoga for the face, the X O mouth movements and even chewing gum for that matter can help immensely in achieving optimum results. As a word of caution, it is advisable to learn the exercises under the guidance of an expert and club it with a carefully chalked out workout routine for overall health. As far as chewing gum is concerned, choose the no sugar options. Check Your Health Status – While it is true that face fat is usually the result of poor diet that borderlines obesity, there are times when certain health conditions cause similar effects of rounding of the face. Sometimes, mild food allergies can cause the face to swell up making it appear rounder and fuller. Many women may experience puffiness of the face as a pre menstrual symptom. Caution – Possessing a lean face is a craze in this century which has resulted in thorough intolerance for any face fat whatsoever. It is critical for enthusiasts to know that it is necessary to maintain a healthy level of fat on the face to maintain skin elasticity and overall youthfulness. Absence of fat from the face can cause wrinkles all over the face, crow’s feet around the eyes and pale hollowness of the cheeks way before their due time.